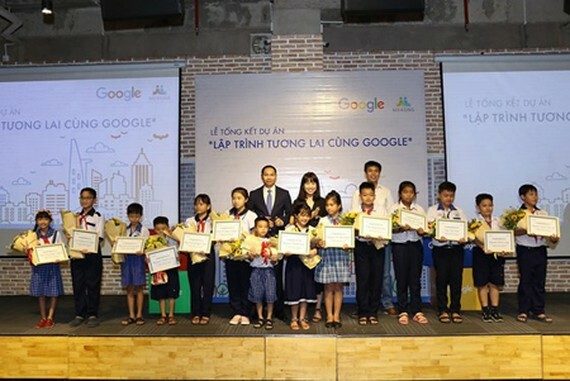 The summary ceremony of the educational project ‘Programming Your Future with Google’ has been held recently to display the most excellent products developed by primary pupils in Ho Chi Minh City (HCMC) as well as the southern provinces of Vinh Long and Tien Giang. 14 pupils from primary schools located in HCMC, Vinh Long Province, and Tien Giang Province were awarded a special prize thanks to their 10 prominent products. 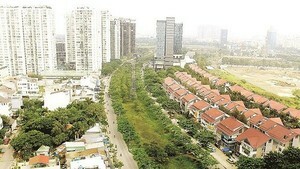 They will have a chance to visit Google’s head office in the Pacific Asian region sited in Singapore. This will be a wonderful opportunity for these talents to contact with professional IT engineers of Google, which in turn will hopefully encourage their inquiring mind and passion toward information technology, especially programming. Google Asian Pacific (APAC) cooperated with the Mekong Community Development Center and the Dariu Foundation to launch the educational project ‘Programming Your Future with Google’ from May to August 2018. It has offered more than 10,000 hours of Scratch programming language training to nearly 1,300 primary pupils in HCMC, Vinh Long Province, and Tien Giang Province. In the framework of the project, the summer course ‘Programming Your Future with Google’ was organized in HCMC to deliver 1,000 hours of programming language learning for 120 children. After participating in those training sessions, 100 percent children are able to develop a product on their own via Scratch. 800 of these were registered for the End-of-course Summary Contest, with the theme ranging from traffic safety to math games, English language review, dictation practices, or geography learning.